Jokes aside, the CCCP was created to replace the video playback packs provided by several anime fansub groups in favor of a single reliable pack capable of decoding practically any groups’ files – without breaking compatibility for other formats. Since then it has grown into a pack that can decode more or less anything that you will run into during your travels on the internet. Why CCCP? Because it achieves as much as possible with as little as possible. 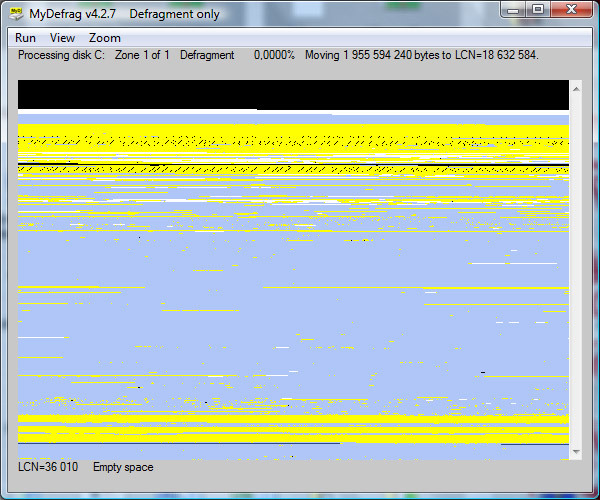 Other codec packs tend to either randomly not work, break the system, or install far too much cruft. With the CCCP, you know that when you install it properly, it just works. You don’t need to mess around in the options to get it to work, and chances are it will resolve any other conflicts on install as well. CCCP was invented so you can “Uninstall everything else, install the pack and live happily ever after”. That being said, for the adventurous there are pages of options available to tweak if you feel like it. 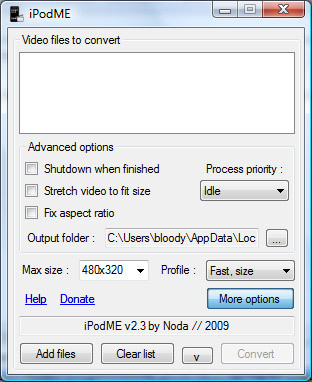 What video files does CCCP support? MyDefrag is a disk defragmenter and optimizer (a maintenance utility to make your hard disk faster) for Windows 2000, 2003, XP, Vista, 2008, Win7, and for X64. It is freeware, no time limit, fully functional, no advertisements. Fast, low overhead, with many optimization strategies, can handle floppies, USB disks, memory sticks, and anything else that looks like a disk to Windows. Included are a set of easy to use scripts for end users, a scripting engine for demanding users, a screensaver, and a combined Windows plus command line version that can be scheduled by the Windows task scheduler or for use from administrator scripts. MyDefrag is extremely solid because it is based on the standard defragmentation API by Microsoft, a system library that is included in Windows 2000, 2003, XP, Vista, 2008, and Win7. Most defragmenters are based on this API, including the free defragmenter that comes with Windows and many commercial defragmenters. Basically all MyDefrag does is send “move this file to that location” commands to the API. The API is part of the operating system and can safely move almost any file on the disk, without risk and while the computer is in full use. Defragmentation and optimization will not only make a harddisk faster, but also lengthen it’s life span, because the disk will have less work to do and therefore have less wear and tear. Also, it will refresh and strengthen the magnetic data on the harddisk by simply reading the (weakened) data and writing it afresh. However, defragmenting and optimizing is work, so excessive defragmenting and optimizing can actually cause more wear and tear than it prevents.